AIHce, the “Premier Conference and Exposition for Occupational Health and Safety Professionals will be held May 30 – June 4, 2009 in Toronto Canada. With over 40 “tracks” to choose from, and more than 250 technical sessions, there is something for every OHS professional at this years AIHce. Additionally, more than 300 exhibitors are expected to attend this years AIHce. Looking to plan the sessions you would like to attend? 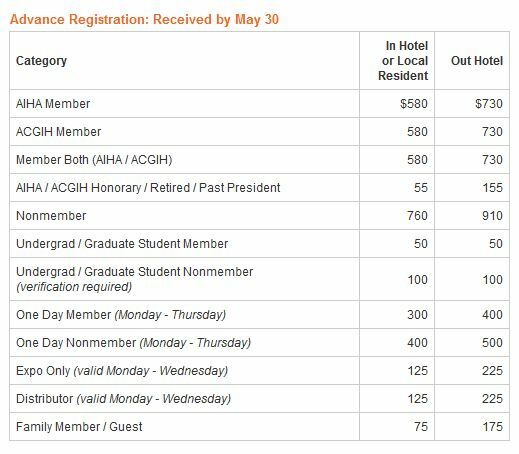 Use AIHce’s Online Program Planner to create your itinerary of the available presentations and sessions. for details on the scheduled presentations. ← Swine Flu – A Pandemic in our Midst?